I put the Kawasaki OEM top case on my '08 C14 and love it! It was easy to install and holds a full face helmet, plus some extra stuff. I have the givi e52 on my c10. It's a great bag, but don't use the givi brake light get the admore lighting brake light, it's much better. Last I saw anyone post the color trim was on indefinite back-order. 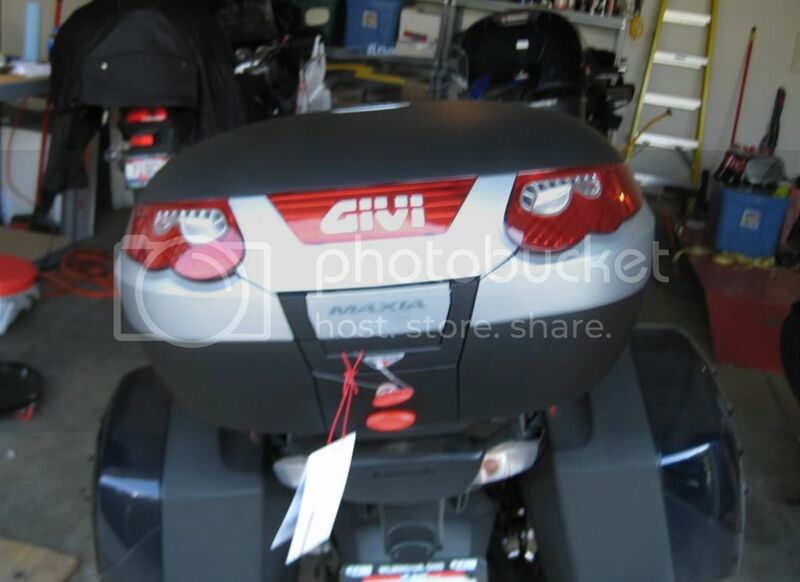 Here's what a Givi E55 looks like on the back of the bike.